Effective August 1, there are new laws regarding criminal conduct related to the placing of an emergency call (found on page 4 of the Law Summaries document). Included in the law are new penalties and an expansion of the definition of an “emergency call.” There are also changes to domestic abuse statutes that include: Orders for Protections (OFPs), Harassment Restraining Orders (HROs), and Domestic Abuse No Contact Orders (DANCOs). There is an interesting change in the underage and consumption of alcohol statute 340A.503 (found on page 8 of the Law Summaries document). If a person contacts a 911 operator to report that the person or another person is in need of medical assistance for an immediate health or safety concern, the person is not subject to prosecution under this law. The statute lists the other elements of the case that must be met for the immunity to apply. 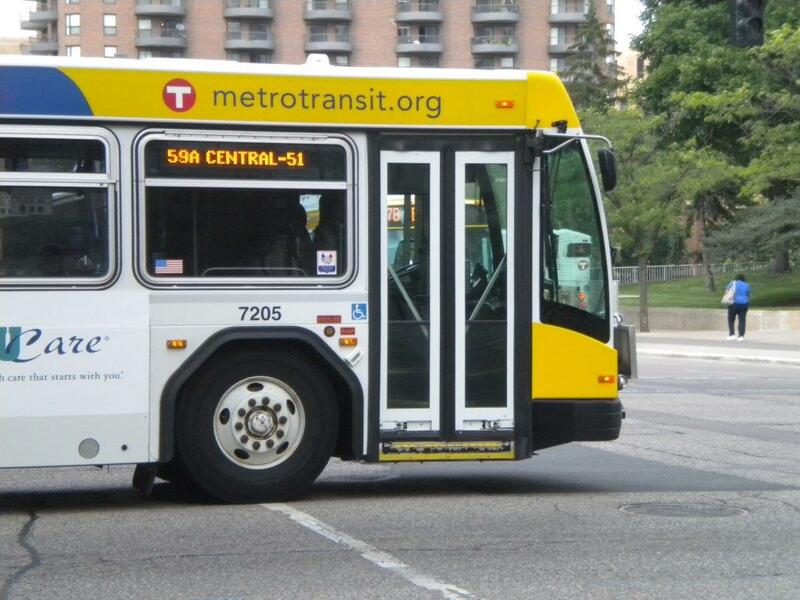 It is now a gross misdemeanor to assault a transit driver. Under 609.2231, it is now a gross misdemeanor to assault a transit operator or to throw bodily fluids on to that operator (found on page 8 of the Law Summaries document). There were six changes to Emergency Medical Services laws, including the requirements for staffing advanced life support units and additional training requirements for the community paramedic program (found on page 19 of the Law Summaries document). The Pension and Retirement section contains changes to the PERA retirement system and changes to the volunteer firefighter retirement programs (found on page 38 of the Law Summaries document). 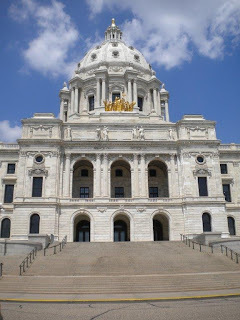 The Public Safety section of the summary has new ATV laws (found on page 46 of the Law Summaries document) as well as the funding of the BCA (page 42), State Fire Marshal’s office (page 42), ARMER radio system (page 43), local 911 public safety answering points (page 42), and the reinstatement of the School Safety Center (page 41). 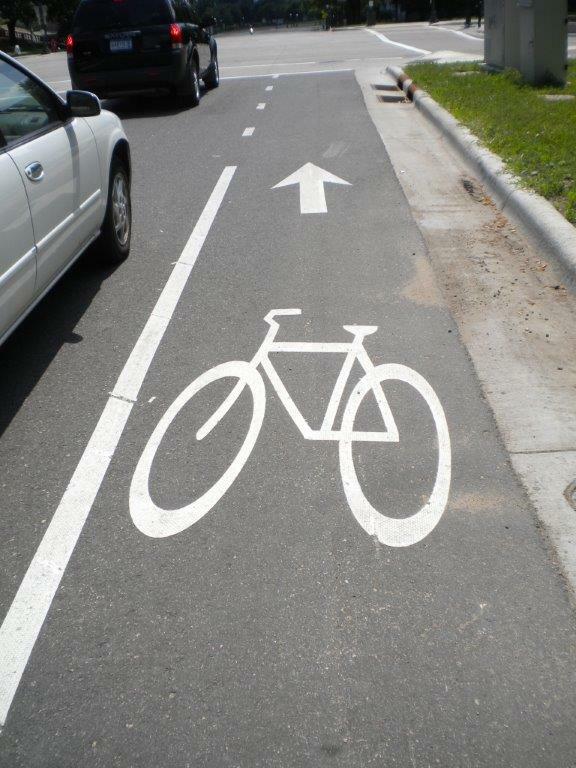 New statutes apply to vehicles using bike lanes. The transportation bill had a fair amount of new legislation regarding vehicles in bicycle lanes (found on page 73 of the Law Summaries document) and a new restriction on school bus drivers (page 74). School bus drivers are now prohibited from cell phone usage while in traffic. It amends a prohibition on using a cell phone for personal reasons when operating a school bus to include times when the vehicle is part of the flow of traffic (such as at a stoplight). This is also effective August 1, 2013. Toward the end of the summary is an interesting section on the bills that did not become law (found on page 76 of the Law Summaries document). 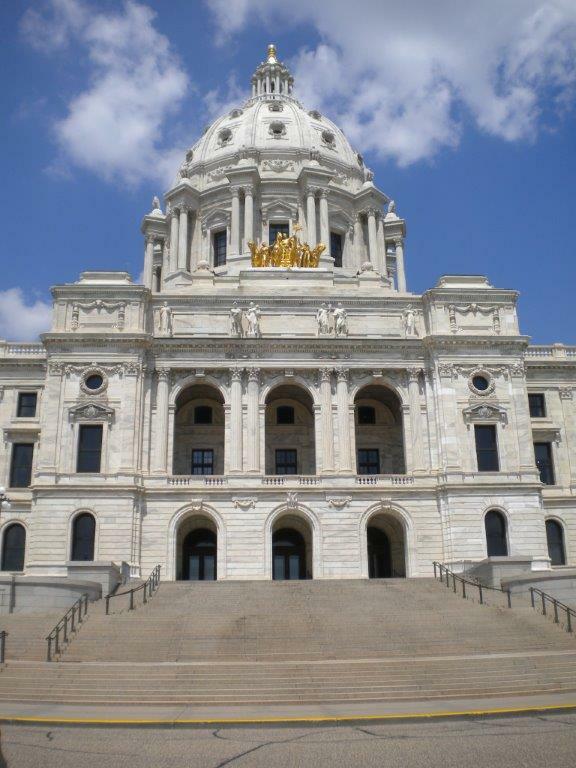 Many experienced Capitol watchers look to this area for an idea of what will be coming up in the next session. I noted the “photo cop” bill (page 80) and laws regarding “mini trucks” (page 82) made the list this year. The summary also contains a complete list of our IGR staff, their contact information, and their areas of expertise. Up next..."America Burning: A Look Back 40 Years"
This chart illustrates the cause of fire scene injuries as a proportion of total incurred costs. 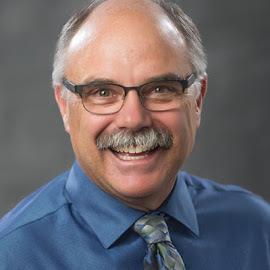 The League of Minnesota Cities Insurance Trust (LMCIT) has a team of field consultants assigned to every member city and every insured department. The consultants have territories around the state and are the front line of LMCIT’s loss control and accident prevention program. Cheryl Brennan, the field services manager, coordinates this staff of risk and safety professionals. I recently ran some questions by Cheryl concerning the slips, trips, and falls that occur frequently in public safety. Q. Public safety responders view themselves as different since they work in a very unpredictable environment, their world is very dynamic, and at times they have limited control of what is happening. Can these accidents really be prevented, or is it just part of the job? A. I agree that when public safety responders are on the scene of an emergency, their environment is often unfamiliar and chaotic. And one would expect that is where we see the most significant loss patterns, but that just isn’t the case. The numbers tell us a different story. Many slip, trip, and fall injuries happen during training, working around the fire station and during non-enforcement activities. These are areas where some basic safety interventions can help. I know, Rob, you’ve worked with some of the loss control field consultants and several of our member entities to identify patterns in losses for public safety employees. Q. How big of a concern is it? A. LMCIT is concerned enough about slips, trips, and falls to start a focused loss control initiative to reduce these kinds of injuries for both fire and police professionals. The seriousness of this issue comes to light when we take a look at the numbers. Let’s take a quick look at some information gathered by our data analyst. Slips and falls are a significant concern for the fire service. These kinds of injuries represent about 17 percent of workers’ compensation (WC) claims and nearly 30 percent of WC claim costs for firefighters over the past decade. To get some perspective, these 594 claims represent nearly $7.4 million dollars in losses during that period of time. That’s a big number. 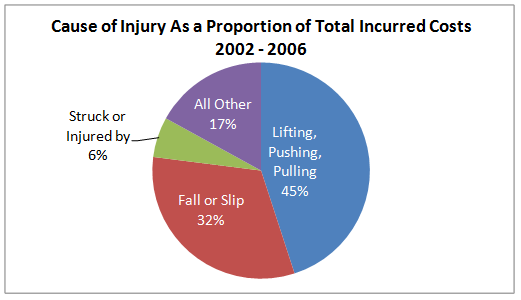 Slips and falls are the second most common and expensive type of injury for fire fighters. The average firefighter injury costs about $7,400 while the average slip/fall injury to a firefighter costs about $12,612. The cost of the injury reflects the seriousness of the injury. We’re not talking just numbers here; we’re talking people and the impact on their quality of life when a serious injury occurs. There’s also the impact on the department as a whole when someone cannot work or is working a lighter duty job. Q. What do you recommend? A. Just as you’ve done, Rob—with injuries that happen during training, we can do something about the frequency of the slips/trips/falls that happen in these two departments. LMCIT has an evaluation tool to help departments assess their risk for these types of injuries, and the League has field consultants to work with members on loss areas. The consultants will be contacting departments in the relatively near future to meet with the chiefs to discuss this problem. Members can make it a priority to meet with the consultants and consider any recommendations they might make.